Every client goes through our strategy-before-tactics process resulting in a custom, integrated marketing strategy built around your business goals. Marketing strategies are continually updated and maintained throughout the life of our engagement. Your Marketing Purpose Statement – Why do you exist? What drives you? Your Ideal Client’s Archetype – The first element, and in some cases the primary element, of marketing strategy is identifying WHO you should be marketing to. Your Brand Archetype – Who are you? What is your brand personality? Once we identify your archetype, we use it to be more relevant with your marketing strategy, communication and brand identity, like colors and fonts, We also use it to identify words and phrases that will mean something to that archetype. Competitive Analysis – How do you stack up against your main competitors? How are they positioned? You need to be different. Your Current Market Position – Are you uniquely positioned in the marketplace? Core Positioning Strategy – Think: Apple = simple innovation; Volvo = safety; McDonalds = convenience/low cost; Listerine = germ killing. How are you positioned? Your Talking Logo – A short statement that quickly communicates your market position and ideally forces the listener to want to know more. Position Statement – How are you positioned in the mind of a prospect? Core Message or Tagline – Your workhorse marketing message describing your value in six words or less. Boilerplate Statement – Used in news releases. Your Current Situation – Our first step is to look at where you are and where you would like to go. This in-depth marketing audit will look at what activities you are currently engaged in, your competition and market conditions. We will also take a closer look at your goals and help to define these specifically and realistically. Pinpoint Your Ideal Client and Create Buyer Personas – Interviewing your ideal clients will allow us to uncover buying patterns and hot buttons when it comes to your products and services. We will identify your ideal client and how you can attract more of them. Everything you do from a marketing standpoint (your website and content marketing) must be based in a firm understanding of your ideal client’s wants, pains and frustrations or it will do little to nothing to move you towards your goals. Define Your Market Position – Defining and focusing on a market that values what you have to offer is an essential first marketing step. One of the most important marketing strategies we will address is differentiation. We will define what sets you apart, one that matters to your ideal clients and gives you the edge in the marketplace. 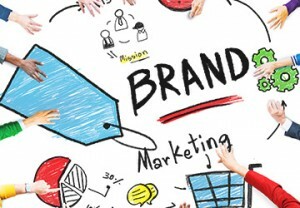 Understand Your Brand and Map Customer Experience – Branding is crucial to the success of your business, but be careful not to let branding initiatives drive strategy. The reason many branding efforts fail is because firms don’t first understand where branding fits along the continuum of other marketing initiatives. You don’t need millions of dollars to effectively create a positive brand experience that delights your customers.